In the days following the Winter Meetings, you’re going to read a lot of pieces trying to figure out who came away a winner. It could be teams, or players. Somebody’s manager or agent. Someone out there will stump for for them. One name you will not hear mentioned is Mike Tamburro. Mike Tamburro is the vice chairman for and part-owner of the Pawtucket Red Sox, having served in those capacities, more or less, since 1985. Before that, he was the club’s general manager. He’s been inducted in the PawSox team Hall of Fame, as well as the Hall of Fame for the International League. He’s been named the circuit’s Executive of the Year five times, and the best executive in the entire minor leagues, by The Sporting News, once. 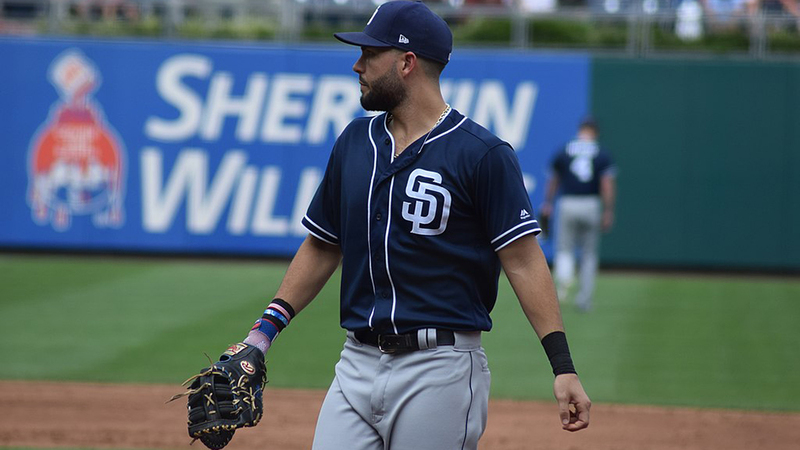 And now, for the next year at least, Mike Tamburro is the reigning King of Baseball. King of Baseball? you may ask. How is there a King of Baseball? There are commissioners. There are owners. There are MVPs and Cy Young winners. But none of them could rightfully claim to be kings of their leagues, let alone of all baseball. What sort of person, you might wonder, could possibly rule over a kingdom so vast? What in the hell does a King of Baseball even do? Well, he gets honored at a dinner, mostly, before life goes back to normal. He also gets a crown and a robe. I say “he” not because men are the only ones eligible, but because to this day, only men have won it, and the overwhelming majority of those winners are white men. On the first night of the Winter Meetings, at the banquet held to open the festivities, one person is crowned king for accomplishments on behalf of the sport. Usually, but not always, it’s a minor league executive. The award wasn’t even the King of Baseball at first. In January of 1951, George Trautmann, president of the National Association of Professional Baseball Leagues, had a big announcement. The NAPBL is an umbrella organization encompassing all of the “organized” minors that was established in 1901 to allow those smaller leagues to band together and stop the encroachment of the AL and NL during their war, and would be celebrating its Golden Jubilee in 1951. In fact, argued Trautman, this was the 50th anniversary of the founding of the minor leagues themselves. The celebration would be nationwide, in 57 different leagues, and last throughout the year with plans that “are in line with the traditions of professional baseball. The game has always been blessed by courageous leadership.” Even with the prospect of the Korean War potentially threatening the minor league season, plans would be carried out because “Baseball offers no place for the quitter or the man of little faith.” The promotion would run, appropriately enough, in the shadow of the 75th anniversary season of the National League and the semi-centennial of the American. Among those plans was a nationwide search for a “Miss Minor League Baseball” or a “Miss Golden Anniversary” or a “Golden Girl of Baseball,” depending on who was writing the article, based on a previously successful beauty pageant run by the Carolina League the season prior. Each league would select a winner, and those winners would then advance on Columbus, Ohio, for the annual convention in December, to compete for the title of “Miss Golden Anniversary.” In the end, only five finalists made the trip, with Esther Haskill, of Austin, Texas taking home the title. But what would a beauty queen be without her king, thought the National Association organizers. While I’m not sure on the process, they settled on Clarence “Pants” Rowland. “Not since Pharaoh plucked Joseph out of obscurity and placed him on a pedestal…can we recall a greater sensation,” wrote Harry Williams in the Los Angeles Times. Rowland proved to be an equally inspired choice. The White Sox jumped from 70 wins to 93 in 1915, and then won the World Series in 1917 with their new skipper at the helm. After a down year in the war-shortened 1918, in which many of the Sox’ stars had either joined the military or worked for defense contractors, the fickle Comiskey replaced him with Kid Gleason without ever telling the press why. So rather than watch the White Sox deliberately lose the 1919 season from the dugout, Rowland was back in the minors managing in Milwaukee. For a few years, he served as an umpire in the American League, before becoming a minor league owner. He scouted for the Cubs in the 1930s and then became the president of the Los Angeles Angels of the Pacific Coast League in 1942. He was named Minor League Executive of the Year in 1943 and that winter the rest of the owners elected him president of the entire Pacific Coast League. “This is big-league territory. We have big-league fans and big-league players and a big-league population,” he said in a 1946 promotional film, and he began advocating strenuously for the PCL to become a third major league. The other leagues were not receptive, but Rowland did make progress at protecting the rights of PCL teams, who were independent at this point, to keep their players out of the “minor league draft,” which allowed big league clubs to select stars from the league for a nominal fee, for up to five years and doubled that nominal purchase price. He protected the rights of players to opt out of the minor league draft if they would prefer to stay on the West Coast. In recognition, the National Association made him their king for the night, at least, and gave him the crown and cape. At 73, he also apparently got a kiss from the night’s queen, which in retrospect is pretty sketchy. But the event was considered so successful that it was repeated in 1952, with the award for what was now “Miss Baseball of 1953” going to Edie Lou Rugenstein of the Arizona-Texas league and J. Alvin Gardner, the president of the Texas League, being “named ‘king’ for the occasion [who] had the pleasant ‘duty’ of crowning Miss Rugenstein.” And they kept doing it. Green Bay native Pauline Wesley won her crown on behalf of the Wisconsin State League in 1953 even though the league had folded before the awards banquet and was paired with International League president Frank “Shag” Shaughnessy. Frankly, looking back on the articles and accompanying photos of the winners, it seems like it very quickly devolved into (if it wasn’t originally) a chance for a bunch of old minor league executives to stand in a room with a bunch of attractive young women. Mercifully, the beauty pageant angle was dropped after 1954 meetings, but the king was crowned every other year except 1958. Instead of the “King of the Evening,” the winner would now be the “King of Baseball.” In 1963, Donie Bush became the first prominent former major leaguer to win the award. After 16 years as one of the best defensive shortstops in baseball, Bush transitioned seamlessly into managing the Senators in his final season as a player, spent a couple seasons managing his hometown Indianapolis club, and then was hired to take over the Pirates in 1927 just in time to lead them to the NL pennant. But he didn’t have major league success after that, returning to the minors in 1934 to manage and earn a place as “Mr. Baseball” in Indianapolis as the club’s president. In 1967, the National Association held its first meeting outside the United States, traveling south to Mexico City. For the occasion, it named Tigres del Mexico founder and owner Alejo Peralta Diaz king, the first of two Latino men to win the crown. Peralta was also the founder and president of the Industrias Unidas Sociedad Anonima, originally a manufacturer of electrical products, that grew into one of the biggest manufacturers in all of Mexico thanks to Peralta’s cultivated friendships with Mexico’s political elite. He had not only turned the Tigres into the dominant team in the Mexican League, but had pushed the entire circuit to join the National Association, and thus the entity that was organized baseball, in 1955. He also helped establish a minor league system for the Mexican League itself, feeding talent into the organization. Unfortunately, just months after being crowned king of baseball, Peralta helped plan the Mexican government’s violent response to student and middle class protests being held in the weeks before the Mexican capital hosted the Summer Olympics. That response, since dubbed the Tlatelolco Massacre, killed hundreds of peaceful demonstrators. It’s a crime for which Peralta never expressed remorse, saying in 1992, “Over time you understand that this was necessary.” I think it’s safe to say this is the only time the king wielded anything like actual political power and perhaps underscores how important it is that the award is ceremonial in nature only. Later, the National Association would branch out and even give the crown and robe to non-executives. Bill Weiss, for instance, was a statistician and historian who became the 34th member of the Society for American Baseball Research. He had been keeping stats for several minor leagues for years, doing the work by hand, and drew sketchbooks of major and minor league stars. He won the award in 1977. Patkin stayed in Cleveland through 1949, when Veeck sold the club. 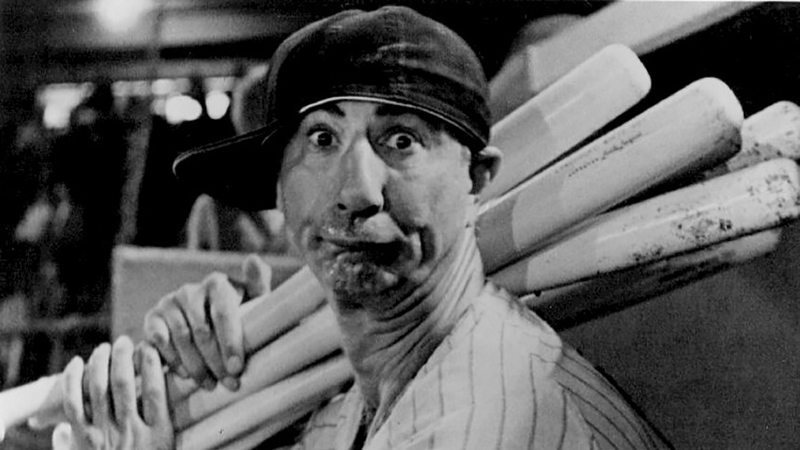 After that, Patkin barnstormed through the majors and minor leagues for the next 45 years. He claimed that, from 1944-1993 he never missed an appearance, a consecutive game streak that dwarfed Cal Ripken’s. Patkin’s career culminated in 1988 when he and his act were extensively featured in Bull Durham. It was that winter when the Association honored him. Two years earlier, an actual Hall of Famer won the award, as Lefty Gomez was recognized for his career as a pitcher and his decades on the lecture circuit promoting the game. And Hall of Fame broadcaster Milo Hamilton earned the crown in 2009. The designer of the original 1952 Topps baseball card set, Sy Berger, got one in 1982. Former longtime major league GMs Roland Hemond and Pat Gillick were honored after leaving those positions. The list of winners is an extensive and impressive one, full of prominent figures who date back more than a century in to the game’s past, and who worked primarily behind the scenes to advance the game. And yet, it remains incomplete. From what I can tell, not a single one of the 67 winners is African-American. Only two are Latino. None of them are women. I suspect part of the problem is also the committee who decides the winners as well, a group of league presidents and officials who are, frankly, mostly a bunch of white guys, but with the notable exceptions of Mexican League President Javier Salinas and Southern League President Lori Webb. Also, it’s likely a function of the fact that this is a backwards-looking award. While the sport has made some advances in hiring minority candidates and women work in front offices in both the major and minor leagues, these advances are largely recent developments. And certainly I would not have expected the award committee to be as conscious in 1968 as I do in 2018. Nevertheless, there have been women who owned minor league teams. There are black owners and scouts and minor league officials and umpires and broadcasters who have been around for the last 50 years. There are a hell of a lot of Latino managers and owners and league officials who work, even if not in minor league baseball proper, then in the winter leagues that flourish during the offseason and serve as fertile soil for players to develop. To have these groups be virtually unrepresented after 68 years is simply too ridiculous to ignore. We talk about the diversity problem at the major league level, but the history of this award sadly highlights that the minor league game and its history have been similarly whitewashed. On the one hand, I get it. It’s a symbolic award more than anything. It doesn’t actually represent anything tangible. But, then, that’s maybe an even bigger problem. Because if minor league baseball can give the award to whomever it wants, why doesn’t it think to honor anyone in these underrepresented groups? Mike Tamburro is likely a very worthy regent for the game. But why aren’t there women or African-Americans or Latinos in the minors who are seen as equally worthy? And why shouldn’t they get to be winners at the Winter Meetings as well? “51 Attend Minors’ Zone Confab at Winston-Salem.” The Sporting News. Feb 28, 1951. Dan Daniel. “April 15 ‘Kickoff’ Day for Minors’ Festival.” The Sporting News. Feb. 14, 1951. Sam Dillon. “Alejo Peralta Diaz, 80, Is Dead; One of Mexico’s Wealthiest Men.” The New York Times. April 10, 1997. Jerome Holtzman. “Patkin still leads league in laughs.” Chicago Tribune. December 26, 1988. Ed McAuley. “Veeck Presents Varieties on Hilarious Road Tour.” The Sporting News. September 11, 1946. The Pacific Coast League, promotional film (1946). Pawtucket’s Mike Tamburro named King of Baseball. PawSox.com. November 6, 2018. Harry A. Williams. “Comiskey Shatters Baseball Precedent.” Los Angeles Times. Dec. 25, 1914. Clarence Young. “Lidlifter Promotion Urged by Trautman.” The Sporting News. Feb 21, 1951. Thanks for the lovely history and for asking good questions. I find it “sketchy” and ridiculous to obliquely suggest that an old man who must be long dead was guilty of sexual impropriety for receiving a ceremonial kiss from a beauty queen.